Apple and many other larger companies are continuously acquiring startups, many of which have developed great apps we’ve featured, so it’s no surprise that SnappyLabs was snapped up by Apple so quickly – there were many offers coming from multiple companies to purchase the one-man company who developed the app SnappyCam, probably the fastest mobile camera app around. Built by John Papandriopoulos, the app gave the iPhone camera some great features for burst mode photography. 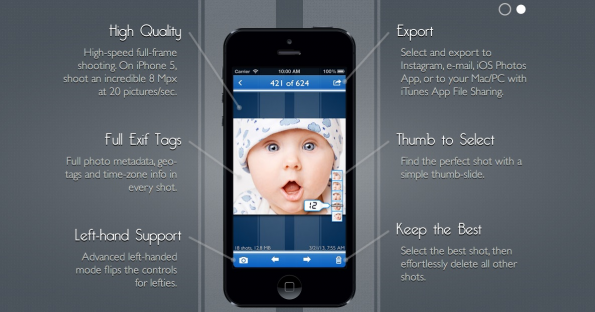 The app utilized great jpeg formatting that allowed the phone to compress images much faster than without the app, which meant users can get great shots of movements without losing quality. 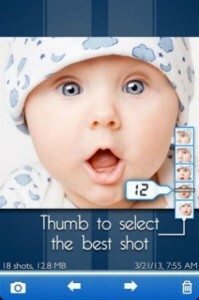 SnappyCam: full-sensor capture up to 8 Mpxat an incredible 20 pictures/sec. That’s faster than any other mobile platform, including Android, and 4x faster than any other camera app on iOS. Full-frame continuous shooting is the holy grail of smartphone photography. It’s what makes DSLRs great, and what professional photographers rely on to get that winning shot. As smartphone camera sensors improve so must the hardware and software that drives them. As an app developer, the best we can do is full-sensor capture, that utilizes every pixel on the camera sensor to produce photos of the highest quality and widest field of view. As of this writing, the SnappyCam App and SnappyLab has been taken offline – presumably absorbed into Apple’s future plans.